We encounter a series of formal elements from the Venetian Renaissance period of the costume's history, forming an antitethal parallel, in order to put the contemporary man to value once more, through a concurrent past / present discourse. 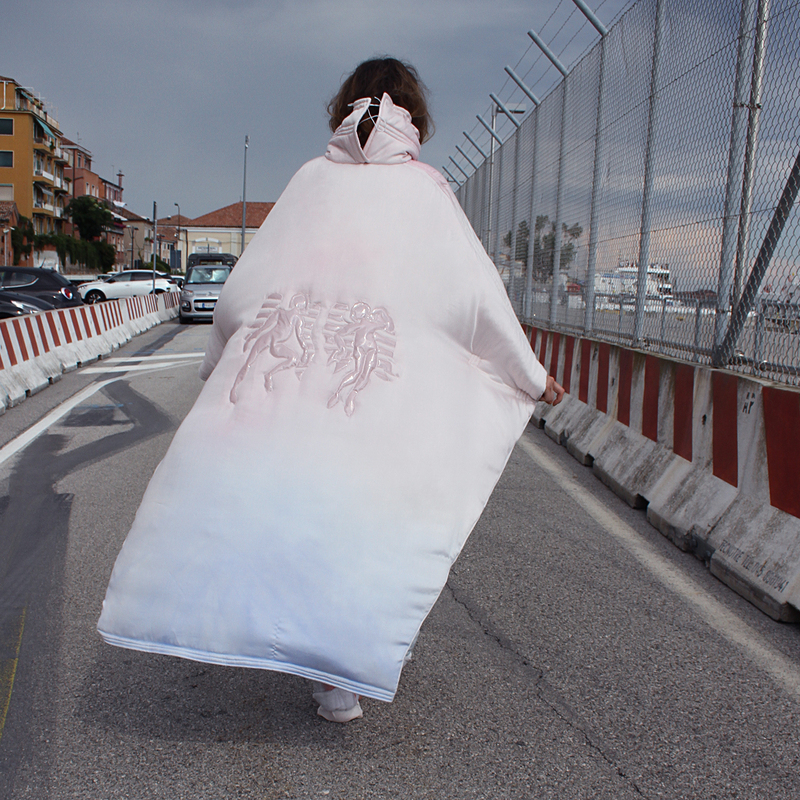 The eccentric character of the project has a stylistic and avant-garde maturity, with a elaborate and complex vision of the clothing object, in particular, but also on the cultural-artistic context in general about beauty and human drama. The formal distortions, but also the unexpected material combinations, the appearance of sportswear team with the luxurious fabric, make the work exposed an object with essayistic veils, which fit into a fiction that evokes the monumentality of the mixed styles of our days. SHOW Me Your Heart Collection is a visual parallel between the contemporary life and the inner worlds of the specific character. The identity of the collection refers to a character, irreversibly stitched by humanity evolution, but which is not outside of history, and its spirit still longs for romance, see oversized allegorical shapes and suggestive simbols. She is preparing for a ball, in which the contemporary is left in the arms of history around with the sky colours and the hope of love. Unconventional draws and lines, alongside some statement elements, such as the suggestion of muscles, or quilted surfaces, make up a sample image of the present man who carries with him every day the symbolism of an expansion culture. The techniques of representing the graphic elements are pictorial, appealing to textile dyes, mostly embossed. The characters exposed in the mirror, random and figurative formal vibrations, exaggerations of the proportions of the classic patern, make up a deeply existential introspection image, according to the principles of reflection and self-insight of the character.